Generic Replica Real Madrid FC 2018/19 Kids Full Jersey - White,Black. ASDA Boys Asda Blue Long Sleeve Stripe Print Pajama Set - Navy Blue. Generic Boys Asda Graphic Print Long Pajama Set - Multi-Color. Generic Boys Nickelodeon Rusty Rivets Long Pajama Set - Multi-Color. ASDA Boys Asda Lion Face Short Sleeve Printed Pajama Set - Multi-Color. Generic Boy's Stylish Sweater - Grey,Black. Boys’ fashion is a collection of different fashion items and products which are for baby boys. Just like adults, boys also need fashion items. With a steady increase in evolution, there are always new fashion items that you can get for your boys. Your baby or kid boys need to look good, dashing and well-kept at all times. Boys’ fashion says a lot about your taste as a parent and how much you care about your son. Therefore, you should endeavor to get the right fashion items and fortunately, you can get the best boys fashion products on Jumia Uganda at affordable prices. Clothes: Boys love clothes, and they love good clothes. Boys clothes come in different styles which either protect their bodies from external dangers like injuries and cold. They also are fashionable and make your boy look more handsome. Just like adults, your boys also deserve the right kind of clothes. Shop different types of baby boys’ clothes online at Jumia Uganda from shirts to short to trousers as well as t-shirts. Shoes: What are clothes without shoes? Your boy definitely needs a pair of shoes for each occasion you’ll be taking him to. Whether it’s to school or whether it’s a friend’s party. It could also be to a picnic or a casual visit. You can get a wide range of formal and casual boys’ shoes and sandals here on Jumia. Accessories: Make your child’s dressing look absolutely complete and charming by selecting the right fashion accessories for him. Some of them include baby socks which are worn with shoes and sometimes, with school sandals, belts (to hold your child’s trousers and shorts), wristwatches for them to check the time as often as they want and many more. 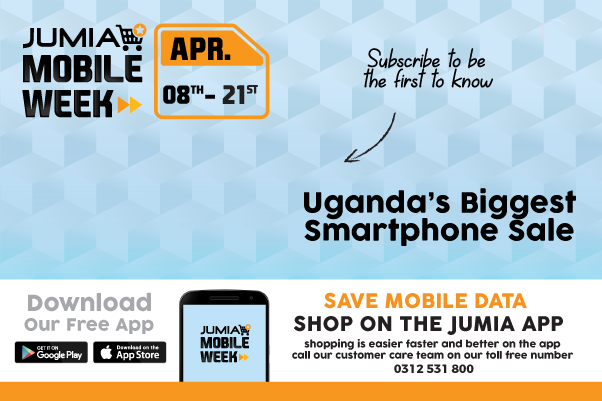 If you’re looking for the best deals on clothes, shoes and fashion accessories anywhere online in Uganda, Jumia is your best bet that ensures that you have all the best at the lowest prices you can get. You can also find teen boys clothing and baby boys clothing.